China will start direct trade between its yuan currency and Britain’s pound on Thursday, the country’s foreign exchange trade platform said, in another step in its push to internationalise the unit. 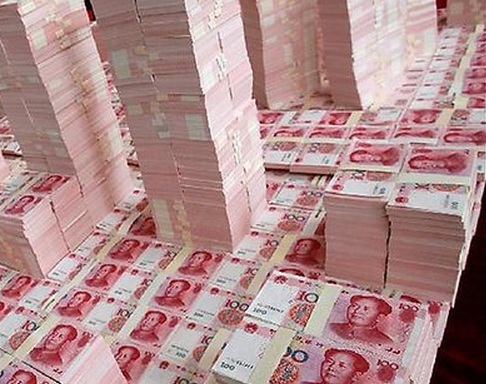 Sterling and the Chinese renminbi, the yuan’s other name, will be directly swapped from June 19 without using the US dollar as an intermediary, the China Foreign Exchange Trade System (CFETS) said in a statement Wednesday. China has long had direct currency trade with the United States, and in recent years has added Japan’s yen, the Australian, New Zealand and Canadian dollars, Russia’s rouble and the Malaysian ringgit to the options. The move will “promote the bilateral trade and investment between China and the United Kingdom” and “facilitate the use of renminbi and pound in the cross-border trade and investment settlement”, said the CFETS statement. The People’s Bank of China (PBoC), the country’s central bank, called it “an important move for China and Britain to jointly promote further development in their bilateral economic and trade relationship”. The announcement came as Chinese Premier Li Keqiang continued an official visit to London, during which he witnessed the signing of trade deals worth more than £14 billion ($28 billion, 17 billion euros). Britain’s Chancellor of the Exchequer George Osborne said: “I believe the emergence of the Chinese currency as one of the world’s leading currencies will be the next huge change in global finance. Britain has long been looking to make London the European hub for overseas yuan trading — in competition with Paris — and separately the PBoC announced Wednesday that a subsidiary of China Construction Bank, the country’s second largest lender, had been chosen to undertake yuan clearing business in London under its authorisation. China has been actively promoting international use of the yuan and taken measures towards interest rate liberalisation, although full convertibility of the currency remains distant. The PBoC last July scrapped limits on lending rates, and in March doubled to two percent the daily trading band that the yuan can float on either side of a daily midpoint set under the bank’s supervision.